1986-87 O-Pee-Chee card #243 – Gary Nylund No, Gary Nylund was not horrible–but this card sure was. That slack-jawed look of disgust on Nylund’s face says it all about this awfully airbrushed card. 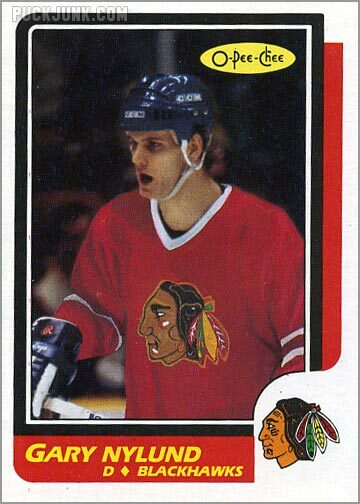 After 4 years with the Toronto Maple Leafs, Nylund was traded to the Chicago Blackhawks on September 6, 1986–giving O-Pee-Chee just enough … Continue reading "Horrible ‘Hawk"